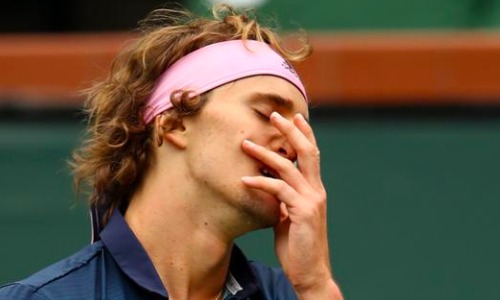 Alexander Zverev had a tough day in the office on Thursday as he crashed out in the second round of the Grand Prix Hassan II in Marrakech. The world No. 3 went down 6-7 6-2 3-6 against 60th-ranked Jaume Munar of Spain. The two-hour and 25-minute battle saw a bit of controversy in the first set. Down 1-3, Zverev ran up to the net and returned a drop shot from Munar. Chair umpire deemed the ball bounced twice on the court, ruling the point in Munar’s favour. Zverev wasn’t happy with the decision as he got into an animated argument. No wonder, replays suggested the umpire had indeed made a wrong call. The German though had himself to blame for the defeat as well. Besides committing seven double faults, the 21-year-old could only win 58 per cent of the points on his first serve and was broken as many as four times. As for Munar, he goes on to face Frenchman Benoit Paire for a place in the quarter-finals.